In this tutorial, we will learn how to find out the min and max value from a stream of comparable elements such as characters, strings, dates etc. We use the min() and max() methods to find the min & max value in streams. These methods are used for finding min & max values in different types of streams such as stream of chars, strings, dates etc. We just have to change the parameter that we pass in this method based on the type of stream. 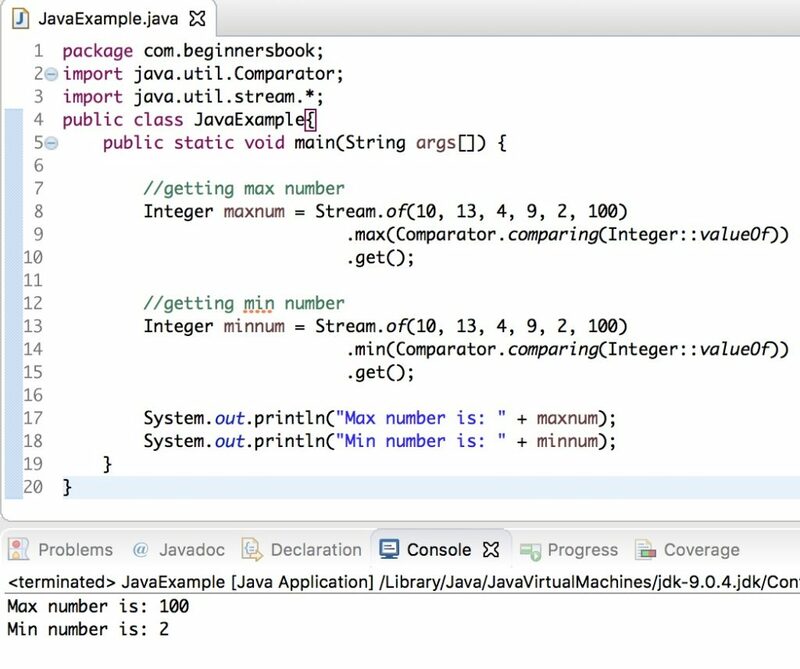 max(Comparator.comparing(Integer::valueOf)): To get the max value from stream of numbers. 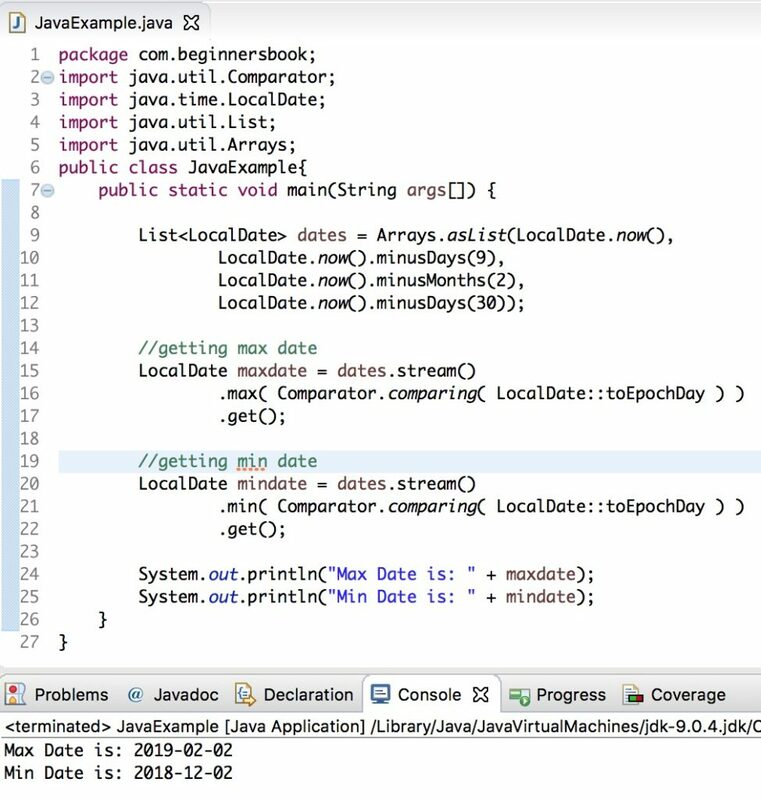 max(Comparator.comparing(LocalDate::toEpochDay)): To get the max date from stream of dates. As you can see we have used the Comparator.comparing() method to compare elements of stream. This same method is used for comparing elements of all types of streams such as stream of chars, strings, dates etc. Only the parameter will change based on the type of stream. In this example we are finding the min and max value from a stream of numbers. Lets find the min and max date from a stream of dates using min and max method.